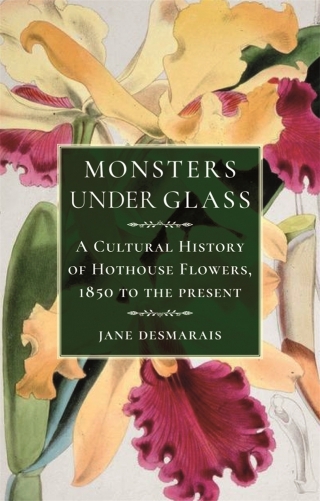 Monsters under Glass explores our enduring fascination with hothouses and exotic blooms, from their rise in ancient times, through the Victorian vogue for plant collecting, to the present day. Our interest in hothouses can be traced back to the Roman emperor Tiberius, but it was in the early nineteenth century that a boom in exotic plant collecting and new glasshouse technologies stimulated the imagination of novelists, poets and artists, and the hothouse entered the creative language in a highly charged way. Decadent writers in England and on the Continent – including Charles Baudelaire and Oscar Wilde – transformed the notion of the hothouse from a functional object to a powerful metaphor, of metropolitan life, sexuality and being, replete with a dark underside of decay and death; of consciousness itself, nurtured and dissected under glass. In this beautifully illustrated, wide-ranging and vivid study, Jane Desmarais charts the history and influence of these humid, tropical worlds and their creations, providing a steamy window on our recent past. Jane Desmarais is Senior Lecturer in English in the Department of English and Comparative Literature, Goldsmiths, University of London. Her publications include Decadence and the Senses (with Alice Condé, 2017) and Arthur Symons: Selected Early Poems (with Chris Baldick, 2017).